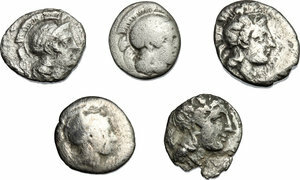 Lots 522 - Magna Grecia. Thurium. 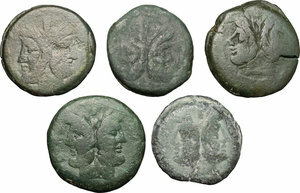 Multiple lot of 5 divisional AR coins. AR. 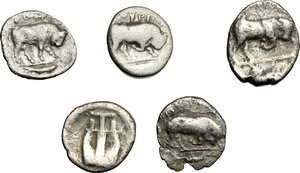 Good F.
Lots 523 - Magna Grecia. 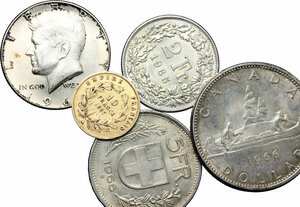 Multiple lot of 50 unclassified coins. AE. Interesting for study. 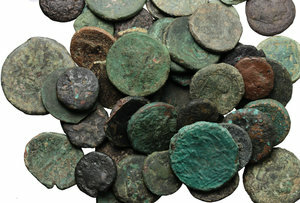 Lots 525 - Greek Sicily. 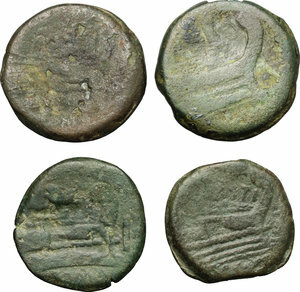 Multiple lot of 4 AE divisional coins; including Kamarina. AE. About VF. 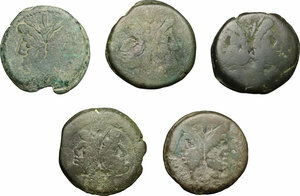 Lots 526 - Greek Sicily. 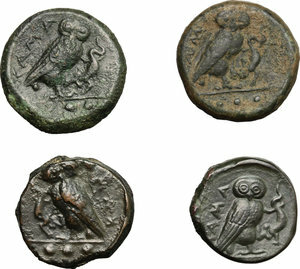 Hieron I (478-466 BC). 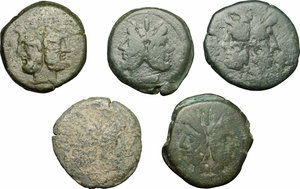 Multiple lot of 2 AR Obols, Syracuse. SNG ANS 116. AR. 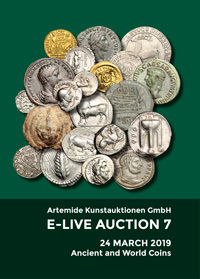 Good F.
Lots 527 - Continental Greek. 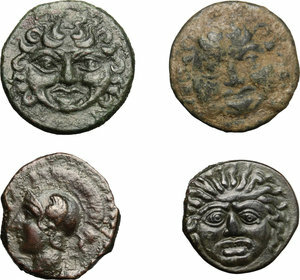 Multiple lot of 3 divisional AR coins; including: Mesembria, Histiaia and Parion. AR. About VF. 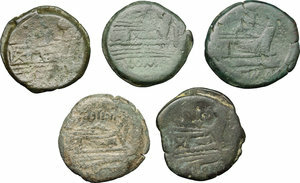 Lots 528 - Continental Greek. Sycion. Multiple lot of 2 divisional AR coins. AR. About VF. Lots 529 - Elymais Kingdom. 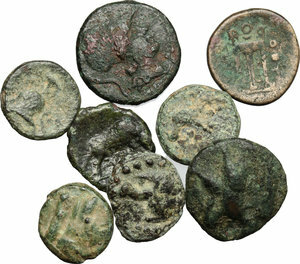 Multiple lot of 10 unclassified AE, c. 2nd century AD. AE. 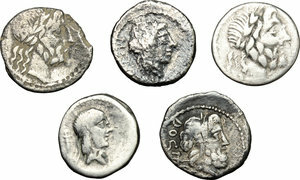 Good F.
Lots 530 - Roman Republic. 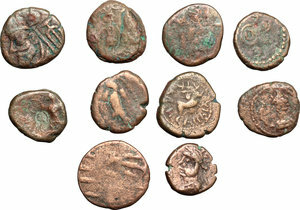 Multiple lot of 2 AR Denarii: Cr. 308/1 and Cr. 449/1. AR. About VF. 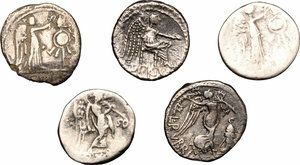 Lots 531 - Roman Republic. 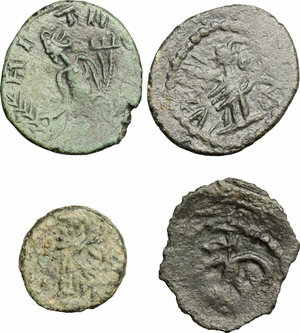 Multiple lot of 3 AR Denarii: Cr. 344/1b and Cr. 348/1. AR. About VF. 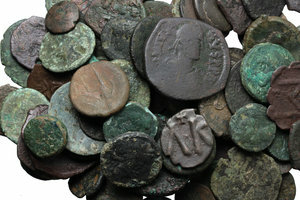 Lots 532 - Roman Republic. 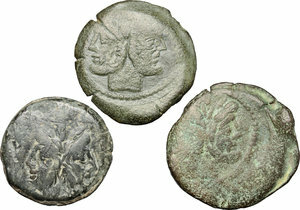 Multiple lot of 3 AR Denarii: Cr. 187/1, Cr. 341/2, Cr. 345/1 and Cr. 431/1. AR. 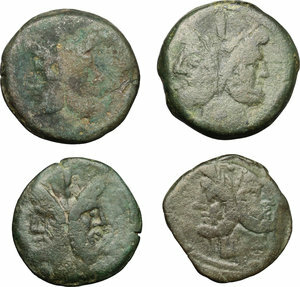 About VF/Good F.
Lots 533 - Roman Republic. 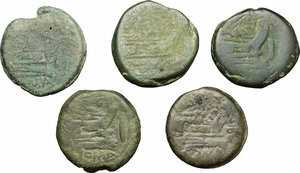 Multiple lot of 5 AR AR Quinarii: Cr. 340/2g, Cr. 343/2, Cr. 345/2 and Cr. 348/4. AR. 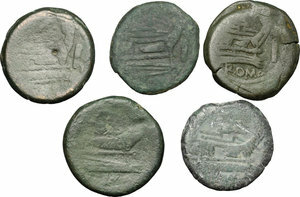 Good F.
Lots 539 - Roman Empire. 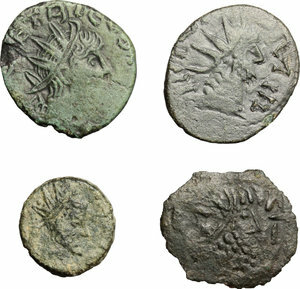 Gallienus to Salonina. 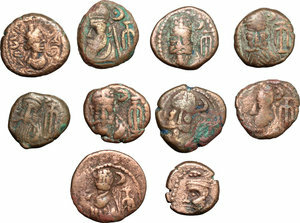 Multiple Lot of 10 unclassified BI Antoniniani. BI. 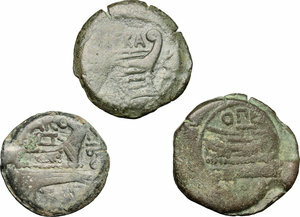 Good F.
Lots 541 - Byzantine Empire. 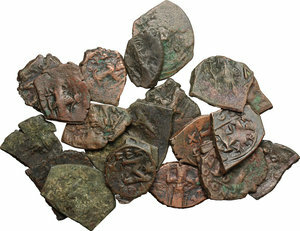 Multiple lot of 20 unclassified AE Folles, c. 7-8th century. AE. F.